As we say in New Zealand, gidday, how are ya? Hope you are having a great day. I’ve been thinking, just as I’m now on the cusp of reaching the age of sixty, that I feel somewhat fortunate to have attained such a mile stone. I mean to say, there have been many instances where I have dodged the proverbial bullet, so to speak. Like the time I was driving home to Wellington forty ton all up and drizzling with rain on the treacherous Desert Road (Central North Island, New Zealand) when around a bend in the road I come across a minor accident scene. I pass cautiously noting the unfortunates mulling over their plight when out of the blue an empty logging truck towing its trailer appears over the brow of the hill in front of me. The driver sees the accident scene in front of him and naturally hits the brake causing the trailer to jack-knife in the slippery conditions. The trailer is coming straight for me. I instinctively pull to the left and all I see is the rear of the logging trailer slide by my right hand mirror then neatly slide down the combing rail of the semi I am pulling, cutting half a dozen tarpaulin ropes as it goes by. I stop at the top and pause to reflect upon what was a close call. I was milliseconds from certain death, that I am certain. What then had I died? What would be my destination, Heaven or Hell? By that stage in my life I had obeyed the gospel call to listen to God’s word, for that is where faith in God is formed (Romans 10:17). I believed in Jesus Christ as my Saviour to set me free from the awful effects of sin of being separated from God for eternity (Isaiah 59:2). Christ set me free because I obeyed His command to repent of my sins (Luke 13:3, 5; Acts 17:30), confessing before men that Jesus is Lord; that is, He will rule my life because in my heart I know from many eye witness accounts (I Corinthians 15:6) that He is risen from the dead (Romans 10:9) but not before I was baptised in order for my sins to be remitted; that is, have them washed away by His blood through the act of a watery burial which occurs when one is fully immersed in water (Acts 2:38; 22:16; Romans 6:3-7). As I stand outside the truck and survey the scene of near death, I am in Christ; a son of God; a member of His church, the one and only place to be if one is saved (Acts 4:12; Galatians 3:26-27; I Corinthians 12:13; II Timothy 2:10). I stand confident my eternal home is with God and along with all those faithful to God’s commands throughout the ages. However, just a little over a year before hand it would have been a different scenario had I died, for as one who was ignorant of God’s word I, like billions of others of accountable age before me, would rue my eternal fate that can be summed up in two sets of passages. The first is Luke 16:19-31 where a certain rich man died and lifted his eyes up in a place called Hades describing his condition as “torments”. Christ uses a Koine Greek word that simply means torture i.e. extreme pain. The man is conscious and alert and is even able to communicate with the father of faith, Abraham expressing his utter grief at what besets him (v.24). He has none to blame but himself for if he had obeyed “Moses and the Prophets” then he would be with his neighbour Lazarus over on the other side. The second passage is truly frightening, for Paul says there is an expectation “the Lord Jesus shall be revealed from heaven with his mighty angels, In flaming fire taking vengeance on them that know not God, and that obey not the gospel of our Lord Jesus Christ: Who shall be punished with everlasting destruction from the presence of the Lord, and from the glory of his power” (II Thessalonians 1:7-9). 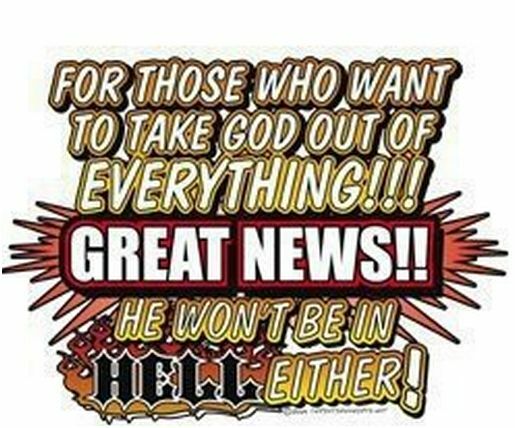 That would have been me folks because prior to August 23, 1985 I did not know God and therefore had not obeyed Him. I, too, would have been in the certain man’s predicament had it not been for my listening and consequent obedience to God’s word. Now, this place of “torments” is one place I do not want to end up in and I am certain you don’t want to end up there, either. Fortunately, you are alive and well because you are now reading this. If you have not already taken the certain man’s advice in Luke 16 that he wanted his brothers to hear i.e. obey God in order to avoid the place of torment he found himself in, then I urge you without delay to seek and find a faithful church of Christ near you. Sit down and hear, believe, repent, confess and then be baptised in order to have your sins “washed away” before it is everlasting too late. The day of Pentecost as referenced in Acts 2 was a result of fifty days from the Passover Sabbath (πεντηκοστή pentēkostē fiftieth from Passover, Strong’s Dict.). This day was counted from “the morrow of the Sabbath” (Lev.23:15) when the omer of barley harvest i.e. “wave sheaf” was first cut. The count of these weeks was to start the day the sickle cut that first wave offering (Dt.16:9). This barley harvest was to be over and done within 7 weeks i.e. 49 days from which the “Feast of Ingathering” (Ex.23:16) or “Day of First Fruits” (Num.28:26) as they were known under the Old Testament could begin. This day of Pentecost marked the beginning of the wheat harvest, hence the term “first fruits”. It is no coincidence, in my humble opinion, that the two different corns represent the Old (i.e., barley) and the New Testaments (i.e., wheat) [any crop farmer will attest barley always precedes wheat in harvest times]. A simple count of 49 days beginning “the morrow of the Sabbath” will, without exception, bring one to the first day of the week that we call Sunday. This day marked the beginning of the church, of which there is, without exception, only one (Eph.4:4). It goes without saying this church needed entry conditions explained i.e. the plan of salvation given by Peter upon request of those who crucified Jesus (Acts 2:37—41). In addition, this church was instructed via the “apostle’s doctrine” regarding fellowship and worship (Acts 2:42-47). It is important to note that the “breaking of bread” in verse 42 differs from “breaking bread from house to house” found in verse 46. The former concerns the immediate context with the Lord’s Supper memorial for “the breaking” is tn klasis i.e. the fracture, the specific act of breaking the specific bread [the Greek places the definite article tn before breaking and tov before bread indicating specificity] that Adam Clarke points out: “Breaking of bread was that act which preceded a feast or meal, and which was performed by the master of the house, when he pronounced the blessing – what we would call grace before meat”. The word is employed by Matthew in chapter 26:26 where Jesus, the Master, “took the bread, blessed it and broke [klasis] it” because it represented His body upon the soon to be realised cross, a solemn and shameful (Gal.3:13) event. This in contrast with the latter “break” is klaō i.e. to generically break which the immediate context of the remainder of the verse says “they ate their food with gladness and simplicity of heart”. They were simply breaking the food apart to eat it with gladness of fellowship together with people of common salvation. This having been said indicates the absolute importance of the first day of the week for the church to assemble for authorised worship and fellowship. Are We Added or Do We Join? Many people are confused about the question of whether or not one joins the church which the Christ built or is added to it. Some rather casually say that they have decided to join the church of Christ. However, is that statement one that can be made accurately in light of what the Bible says about this subject? To find the answers, consultation of the Scriptures will be necessary. Acts chapter two describes the inception of the church. At the end of the chapter, Luke records this, “Praising God, and having favour with all the people. And the Lord added to the church daily such as should be saved” (Acts 2:47). An examination of this verse in the Greek text reveals that “the Lord” is the subject of this sentence. As the subject of this sentence, the Lord is doing the action, which is the Greek word translated “added.” Hence, God is performing the action of adding. Webster’s dictionary from 1828 gives these definitions for “add”: “…1. To set or put together, join or unite, as one thing or sum to another, in an aggregate; as, add three to four, the sum is seven. 2. To unite in idea or consideration; to subjoin… 3. To increase number… 4. To augment…” (E-sword, 2007). Those who were “added” were united or brought into the church by God. The next point that should be understood is the object of the “adding.” The Greek participle and its article “tous (article) sozomenous (participle)” is translated “such as should be saved” which we would understand as “the being saved ones.” This Greek word and its article are in the accusative case meaning that it is the direct object of the verb. “The being saved ones” were being added. Who then are these saved ones? Our Lord clarified this in Mark chapter sixteen, “And he said unto them, Go ye into all the world, and preach the gospel to every creature. He that believeth and is baptized shall be saved; but he that believeth not shall be damned” (Mark 16:15-16). Jesus plainly stated that the saved are comprised of those that believe and obey the Gospel. Now please consider Acts 2:38-41. Those that were baptized (remember Mark 16:16) were those that had hearkened unto Peter’s sermon. Peter preached the Gospel, (again, please remember Mark 16:16) they believed, and were baptized; thus, becoming part of the saved. And it is the saved that were “added” by the Lord. There is an indirect object in this sentence, as well. The Greek noun and its article “ta (article) ekklasia (noun)” are in the dative case meaning that they are indirect objects. “The church” is the body into which the saved were added. The verb “added” was done to the saved and the saved were placed into the church. All of this was done by God. The above explanations are somewhat in depth, though certainly not exhaustive. The verse which has been examined is a very simple and straight forward pronouncement of the process in question. Daniel chapter two supports the fact that the Lord adds one to the church, not man. clay, the silver, and the gold; the great God hath made known to the king what shall come to pass hereafter: and the dream is certain, and the interpretation thereof sure” (Dan. 2:44-45). This kingdom (which is the church) would not be established or founded by men. Our Lord said that He would build (establish) His church (Matt: 16:18). The adding of souls to that church was certainly a part of its establishment. Jesus said He would build His church. He is saying by implication that He would be adding to His body. The Lord is head over the church (Col. 1:18); and as Head, He determines the way into His body. Our Lord rules over His kingdom (Col. 1:13, 18). Headship of the church, salvation, forgiveness, reconciliation, and the giving of commandments to be obeyed belongs to the Christ. The church was prepared, established, and is kept by God and not by man. The church is not a man-made nor human ruled body, to which we may join ourselves at our own discretion and upon our own terms. Acts 2:47 states the matter very plainly: the Lord adds us to church upon our obedience to the Gospel. To cross the Rubicon is a metaphor meaning to deliberately go beyond the point of no return. Think about the consequences before you leap! The subject of eternal hell is so repugnant to the modern ungodly world that people desperately search for some scientific rationale to justify their rejection of God’s Word. Charles Darwin was an example. He became an apostate from Christianity, not because of his scientific “discovery” of natural selection, but because of Christ’s teachings that unbelievers (including his own father) would end up in hell. Nevertheless “the fearful, and unbelieving . 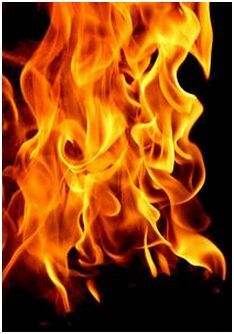 . . and idolaters, and all liars, shall have their part in the lake which burneth with fire and brimstone: which is the second death” (Revelation 21:8). These are words from God Himself! But is there no difference in the punishment of, say, blaspheming and wicked unbelievers and the mere careless unbeliever? Yes, there is. As Christ said, the idolatrous inhabitants of Tyre would have repented if they had seen His mighty works, but the Galileans of Chorazin and Bethsaida who had seen His miracles and heard Him preach had not. Consequently they will suffer more. 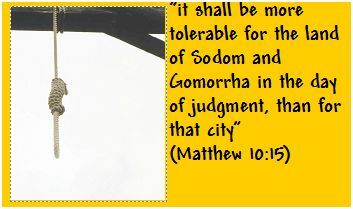 Similarly, He said concerning those who would reject the gospel preaching of His disciples that “it shall be more tolerable for the land of Sodom and Gomorrha in the day of judgment, than for that city” (Matthew 10:15). The wicked populace of Sodom, “giving themselves over to fornication, and going after strange flesh,” will suffer “the vengeance of eternal fire” (Jude 7), but even greater punishment awaits those who willfully reject God’s love in Christ. There will, indeed, be degrees of punishment in hell, but they will be determined largely in proportion to degrees of “light” rejected. This is an unwanted–but urgently needed–message in these last days! If Baptism Is Not a Condition of Salvation, Will You Answer These Questions? 1.If baptism is not a condition of salvation, why did Peter mention baptism since he was answering the question of what to do to be saved? (2:37). 2. If baptism comes after salvation, would not repentance also follow salvation, since they are joined by the conjunction and? 3. Is not repentance and baptism in this verse both for the same purpose? 4. If salvation comes before baptism, why does Peter say it is “for the remission of sins”? 5. If the phrase, “for the remission of sins” in Acts 2:38 means because of remission, would not the same phrase in Matthew 26:28 mean because of remission of sins? 6. Did Jesus shed His blood because men were already saved? 7. If Christ did not shed His blood because men were already saved, would it not follow that men are not baptized because they were already saved? 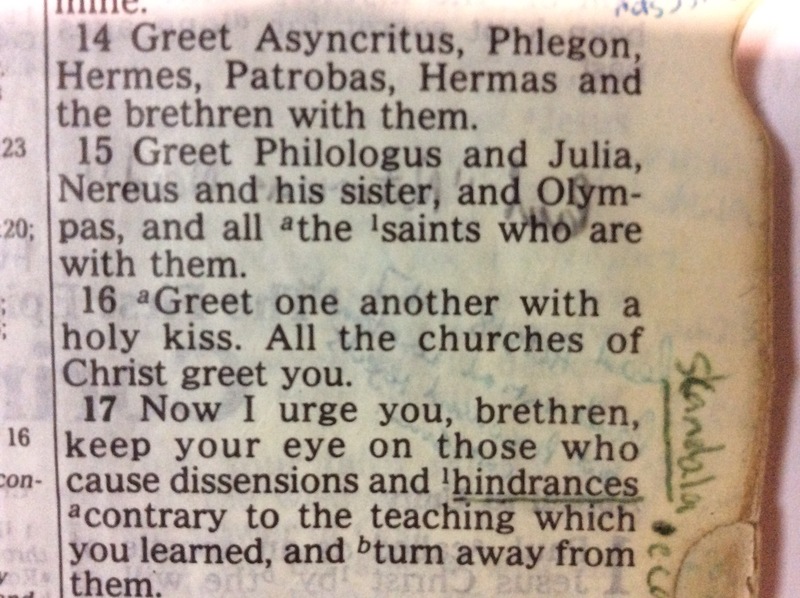 The phrase in Matthew 26:28 and Acts 2:38 are identical in both the Greek and English. 8. Would it not be a false doctrine to teach that Christ shed His blood because men were already saved? 9. Likewise, is it not a false doctrine to teach that men are baptized, because they are already saved? 10. If the people on Pentecost were saved before they were baptized, why were they not added to the church until they were baptized, since such as should be saved were added to the church? (2:47). 11. The word church means “the called out” and only those baptized were added to the church. If one is saved before he is baptized, would he be saved before he is called out of the world? 12. Is salvation in the world or in Christ? (2 Tim. 2:10). “Then they that gladly received his word were baptized: and the same day there were added unto them about three thousand souls” (Acts 2:41). “He that rejecteth me, and receiveth not my words, hath one that judgeth him: the word that I have spoken, the same shall judge him in the last day” (John 12:48). “Then cometh the devil, and taketh away the word out of their hearts, lest they should believe and be saved” (Luke 8:12). 1. Can one be saved and not receive the Word? 2. All who received the Word on Pentecost were baptized. 3. Were there any on Pentecost who were saved that did not receive the Word? 4. Does the Word say baptized for the remission of sins or baptized because of remission of sins? 5. How is it possible for one to be baptized as the Word teaches, and not be baptized for the remission of sins? 6. If you were not baptized for the remission of sins, you were not baptized as the Word teaches and therefore were not saved.